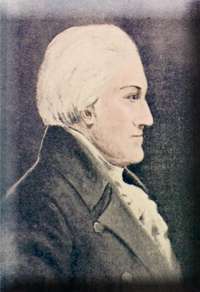 The Genealogy of Henry Livingston, Jr. The Livingston family was intertwined into the politics of New York state and the new country emerging from the Revolutionary War. One of Henry's uncles was the first Lieutenant Governor of New York. A brother graduated Yale at 16 and became the President of Rutgers College. A brother-in-law was a Justice of the New York Supreme Court. Henry's ancestors were politicians, ministers and soldiers. His great grandfather, Robert Livingston, the first Lord of Livingston Manor, was Scottish and, through Robert, Henry descended from a noble line that came down through Robert the Bruce, King of Scotland. Robert's father, Reverend John Livingstone, was one of the most famous Scottish ministers. John's great-great grandfather had been Sir William Livingston, 4th Lord Callender. Most of Henry's other ancestors were Dutch, with a little German and Swedish thrown in for good measure. Through his grandmother Cornelia Beekman, Henry was descended from Cornelis Melyn, the Patroon of Staten Island, as well as from Rev. William Baudertius, a theologian and scholar, author of an extensively illustrated account of the first part of the Eighty Years' War, 1568-1621, and member of the group which translated the King James Bible into Dutch. Henry's great grandfathers - Philip Schuyler and William Beekman - were, with grandfather Henry Beekman, leaders of the New York political scene. The prominence of Henry's family means that there are a surprising number of portraits of his ancestors. 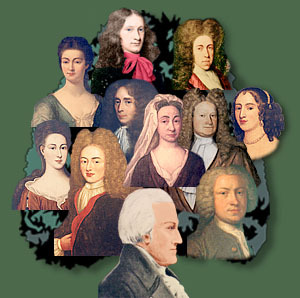 The numerous Livingston family intermarried with most of the other prominent families of New York. The result is a tangled family web that is part of almost every important historical event in Colonial and Revolutionary New York, whether or not they carried the name of Livingston. And today? Well, former Congressman Bob Livingston's full name is actually Robert Linlithgo Livingston, IV, descending through all three Lords of Livingston Manor - Robert1, Philip2 and Robert3. And of Gilbert's descendants, two spring to mind - Presidents George H.W. Bush and George W. Bush. If you find your own line missing from this chart and you'd like to have it added, leave your information with one of the docents, and we'll try to add you into a future update. Gilbert Livingston, the son of Robert Livingston, 1st Lord of Livingston Manor, had 13 children, only 2 of whom died in childhood. Henry Livingston, Sr., Gilbert's son, had 11 children, and lost only 1 in childhood. Henry Jr. had far worse luck than his father and grandfather. At the time of Henry's death, he had lost all 4 children by his first wife, and the youngest of his second wife's 8 children.